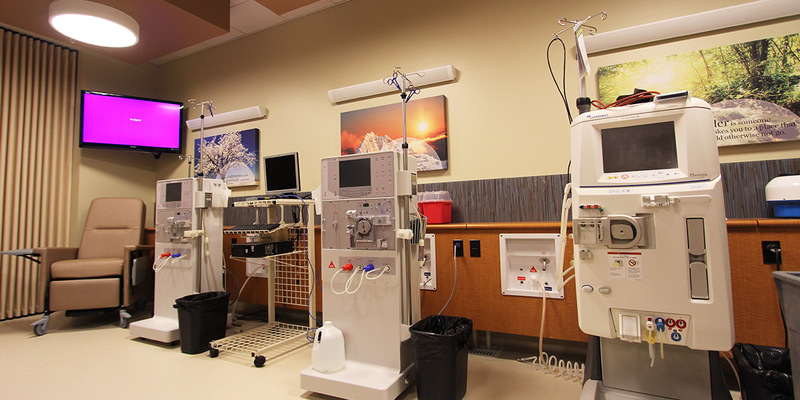 DaVita, a Fortune 500 company, is a healthcare provider and leader in kidney treatment. 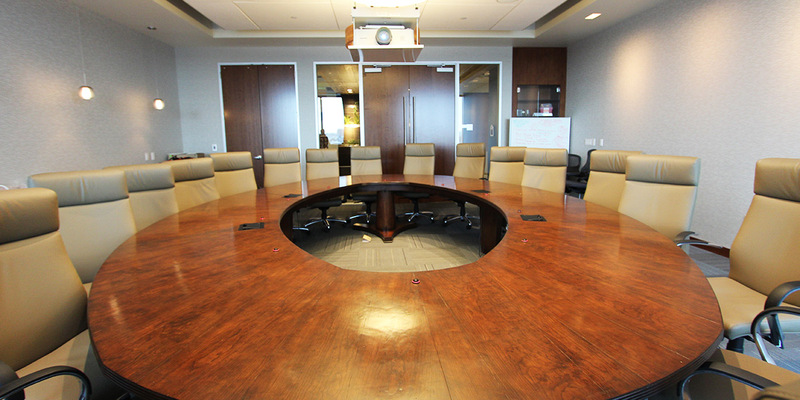 Its new 14-story headquarters has the latest audio, video and control systems. 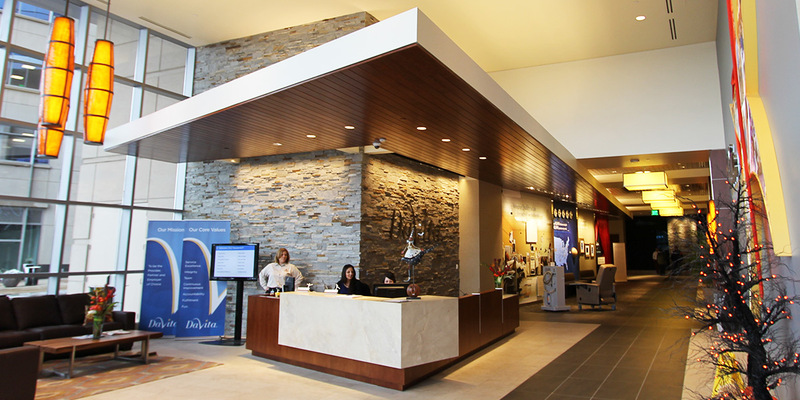 The lobby has a video wall composed of two pieces of glass with rear-projectors and a rock wall with water running over it between the projected images. 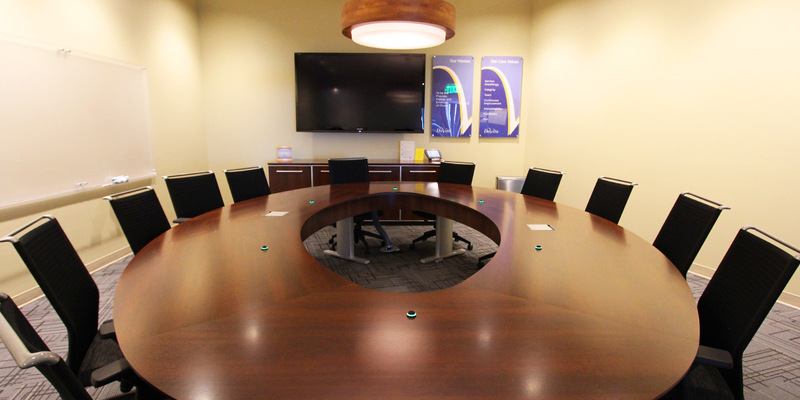 There are small, medium and large conference rooms that include 52” and 60” flat panel displays, simple push-button wall controllers, AV inputs at conference room tables, in-room audio with table microphones, and conference capabilities. Multi-purpose rooms and training spaces have ceiling mounted projectors with motorized screens, touchpanel control systems, AV inputs, audio and conference capabilities.